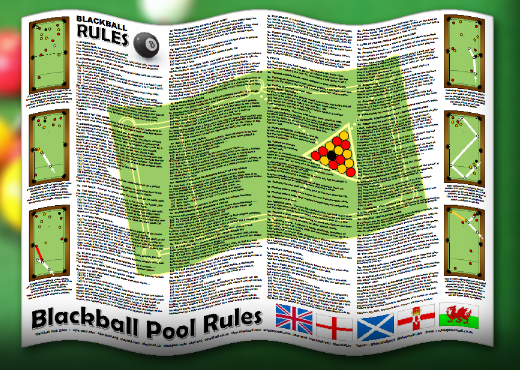 Blackball.UK: Blackball Pool Rules ! Blackball as played in the United Kingdom, and indeed throughout the world, has its origins in the game of 8ball pool popularised in the USA early in the last century. A modified version of that game first found its way to the UK in the 1960s. Today blackball is the dominant official rule-set for the 'small-table' game of pool so popular in pubs, clubs and pool halls. It is played extensively in pool leagues and there are numerous national and international events including European and World Blackball Championships. 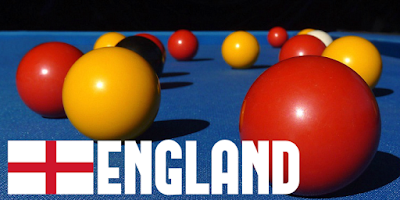 The first pool tables began to appear in Britain's pubs and clubs more than half a century ago. Within a few years the game of 8ball pool rivalled and eventually overtook darts as a pub pastime. In those early days snooker was the most widely played cue sport in social clubs and snooker halls, but pool was to become the predominant game. The game's rapidly increasing popularity was largely due to its easy accessibility. The small table was readily accommodated in thousands of British pubs. By the late 1970s pool had become well established throughout the United Kingdom. When the game was first introduced it was played with seven solid-coloured balls numbered 1 to 7 and seven striped balls numbered 9 to 15. Such ball sets are often referred to as 'spots and stripes' in the United Kingdom and they continue to be used in games such as American pool and Chinese Eightball. The first was the necessity to play on those smaller, coin-operated tables custom made for pubs and clubs. 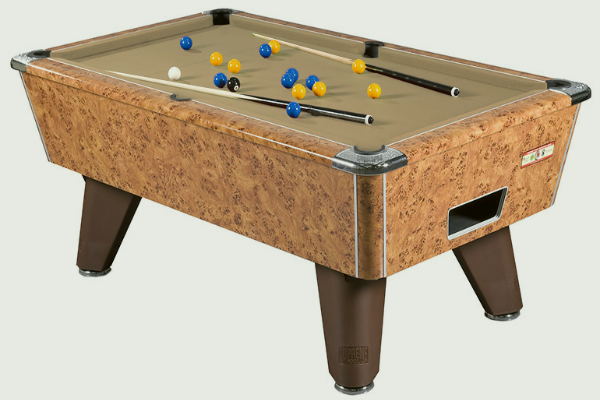 Mechanised tables do not allow the return of potted balls to players during a frame of pool, other than the white. The second factor has been a trend to introduce rules which speed up play and so reduce the duration of the game. The rules of pool evolved and became formalised as more and more people took up the game. Local pool leagues were created and then national organisations established to administer the sport. Governing bodies have also been set up to represent the interests of blackball players in other European countries, Africa and Australia. In addition the International Professional Pool Association (IPA) runs numerous prestigious events in Britain and worldwide. 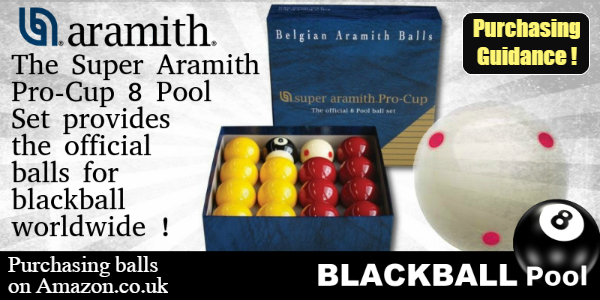 These are played to blackball rules at both amateur and professional level. The cues preferred by blackball players more closely resemble in dimension and weight those favoured by snooker players than those used for cue sports such as American pool. They do however tend to be a little lighter with a narrower tip than most snooker cues. Tips are often around 8 to 9mm in diameter with a cue length of 57 inches or less. The vast majority of blackball and snooker cues are made from ash or maple. Maple, unlike ash, has no grain and is the harder wood. Many players use a 2-piece cue which is of course more convenient to carry and store. 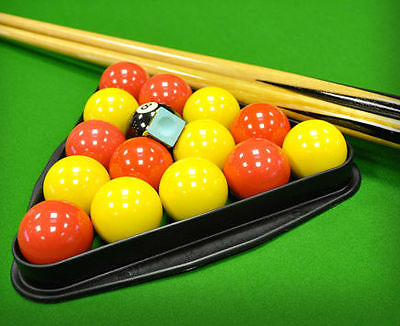 Enthusiastic players may own a 'break cue' for breaking the cluster of racked balls at the start of a frame of pool. A light weight 'break cue' is often considered most effective. Red and yellow ball sets (alternatively known as 'casino' balls) are now favoured. The transition from numbered balls came about in part because they are easier to distinguish by spectators on video and television. Occasionally blue balls will replace the red. These coloured 'object balls' and the black ball, are invariably 2 inches in diameter. The 'cue ball' is slightly smaller. The white is 1/8th of an inch less in width to enable it alone to return to a player through the mechanism of coin-operated machines should it accidentally be potted during a frame of blackball pool. The small size of the cue ball used in blackball (compared to snooker and American pool balls) is an important factor in determining optimum cue weight and tip diameter. It was in the 1970s that a degree of standardisation in the dimensions and playing attributes of coin-operated pool tables began to develop. Most significantly, in 1973, the first of the legendary 'Superleague' tables appeared on the market. The design of that slate bed table proved very acceptable to both the novice and more advanced player. It was 7 feet in length and had the same ball to pocket ratio as a snooker table. The table was first made by a company called Hazel Grove Music and then later by Riley Snooker. By the 1990s over 120,000 such tables had been manufactured and distributed throughout the UK and Europe. 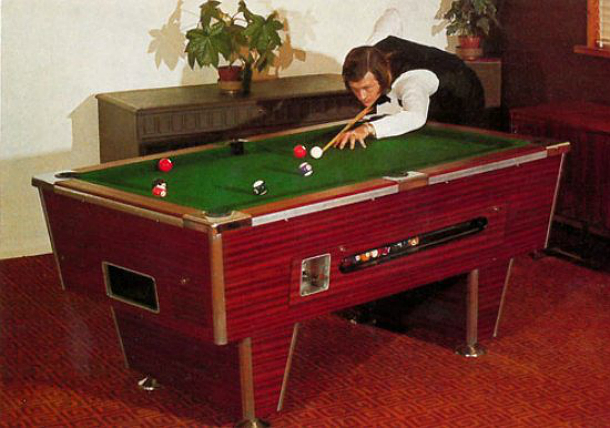 Alex Higgins endorsed the Superleague table and appeared at exhibitions demonstrating its attributes. There are today many manufacturers and models of table ranging in price from a few hundred to several thousands of pounds. In the photo is the popular 'Supreme' model. It is what is often referred to as a 'tournament' table and as such is of the kind widely used for national pool events throughout the United Kingdom. The standard table dimension remains 7ft X 4ft which gives a playing surface of 6ft X 3ft. The table coverings have however undergone change over the years. In the early days a heavily napped, woollen cloth of the kind at that time found on snooker tables was commonplace. This was far from ideal and eventually faster surfaces with less nap gained popularity. In the 1970s the fabric manufacturer Hainsworth working with Hazel Grove Music developed for the first time a pool cloth specifically for use with the Superleague table. Later, from 1992 to 1996, Hainsworth acquired the table manufacturers HGM, E.J.Riley and Premier Pool and Hainsworth became the largest table manufacturer in the United Kingdom. Even more recently worsted cloth entirely without nap, sometimes referred to as 'speed cloth', has gained favour. In fact the fabric may be wool, nylon or a mix of the two and this determines the nature of the playing surface, cost and life of the cloth. The traditional green cloth is still popular, though other colours are achieving acceptance, particularly in events played at national and international level. Experienced players are well aware that the quality and characteristics of the table surface can vary greatly and have learned to adapt their approach to play accordingly. For many years different versions of rules caused unnecessary confusion amongst players and antagonism between self-appointed 'governing bodies' which had sprung up to administer 8ball pool. In 2004 a meeting was held in London under the auspices of the World Pool-Billiards Association (WPA) which agreed to the introduction of blackball pool rules as the official rule-set for the 'small-table' game. This ensured players were able to unite under a single world structure with all playing to the same rules. The support of the World Pool Association gave the sport true recognition and brought about the introduction of worldwide events. There's useful guidance to playing blackball pool on this web site. 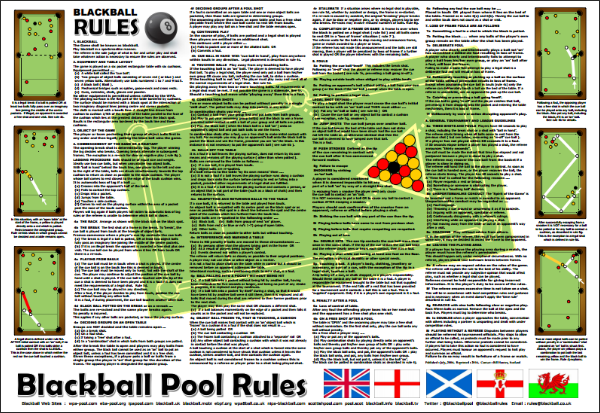 Blackball pool rules were first published in 2005, followed by a minor update in 2008. Today, pool played to those rules has never been more popular. 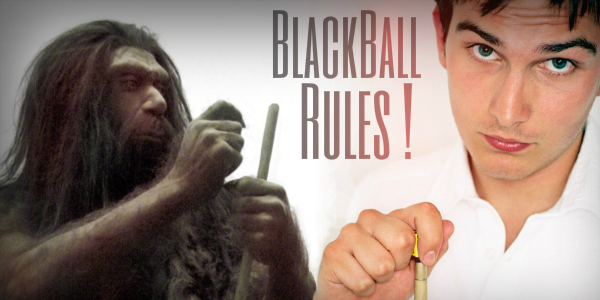 Players previously familiar with pub pool rules and old-world versions of 8ball will appreciate how much the move to blackball has enhanced the game. It has made the game more enjoyable for players and attractive to spectators. 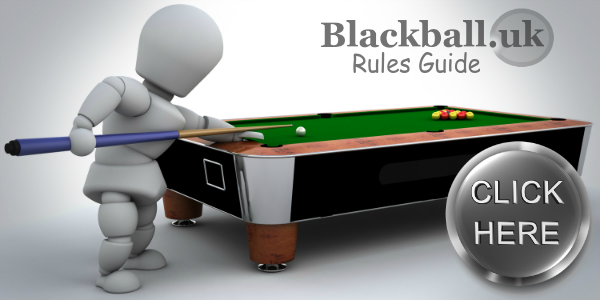 The success of these rules is one of the reasons why the World Blackball Championships, held in Scotland in 2014 were recorded and screened by Sky television. 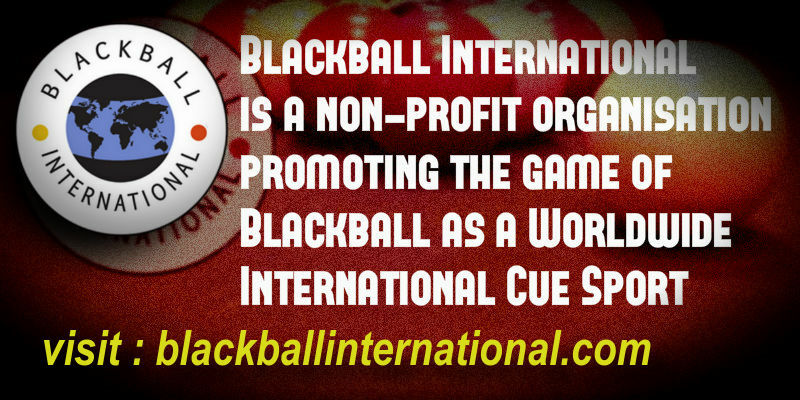 The live streaming of blackball money matches and events at all levels is now commonplace. The game of blackball is played worldwide. Those few remaining organisations which continue to support and promote outdated versions of 8ball face the prospect of becoming increasingly marginalised. There's no shortage of opportunity for players of all abilities to compete in individual and team events from league level upwards. Such is the popularity of pool in the United Kingdom it is very possible that a blackball league will have been formed in your county, city or town. Typically pool teams compete in league matches once a week. Matches are usually held on a weekday evening. Leagues also organise regular knock-out tournaments for both teams and individual players. Pubs, clubs and pool halls provide the majority of venues. Teams are frequently named after the venue in which they play their home matches. The venue owners or management may meet costs of league affiliation. A team captain is invariably selected and the more earnest squads will have their players attired in matching shirts. Throughout the United Kingdom, at local, national and international level, competitions are organised for gents, ladies, seniors, youths, juniors and players with disabilities. 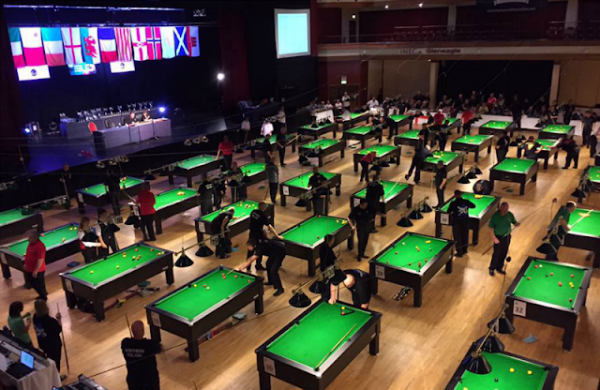 There's ample opportunity for league players to take part in national tournaments run by the governing bodies of blackball pool in England, Scotland, Northern Ireland and Wales. Those national organisations in turn provide the top players with a chance to compete for the privilege of representing their country in international competition. The World Pool-Billiard Association is the international governing body for the sport and serves the interests of pool players throughout the world. Due to the increasing popularity of blackball spacious arenas are necessary to accommodate major international events. Since 2006 the World Blackball Championships have been held in South Africa, France, England, Scotland and Ireland. 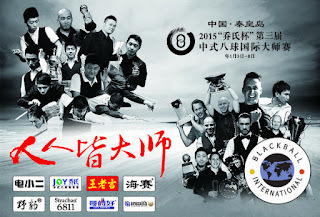 The countries attending the 2016 World Blackball Championships appear on this YouTube 'slideshow'. The 2018 World Championships are being held in England. In addition, the European Blackball Championships are held annually in Bridlington, England. 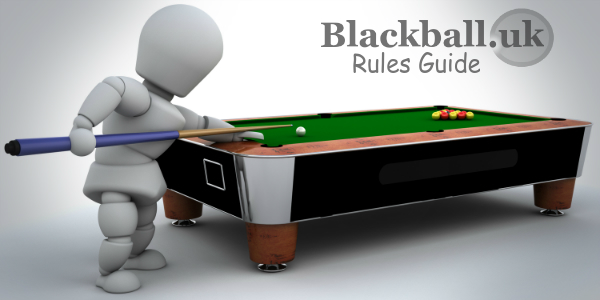 Here's a guide to playing pool to blackball rules. There is much more about the blackball nations of the United Kingdom on this web site. For example there are blackball pool surveys which allow you to share your views about how the UK's governing bodies performed in terms of managing and promoting the sport. There's also a web page in which the numbers of blackball title wins for England, Scotland, Northern Ireland and Wales in European competition have been compared and analysed. The best place to find a summary of the content of the Blackball UK web site is the 'About' page which is linked in the main menu above. When were red-and-yellow pool balls first manufactured? 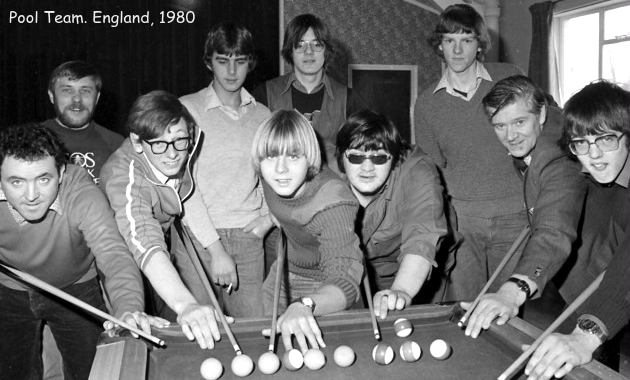 On your website I can see the old photo from 1980 where Pool was being played with what looks like ordinary stripes-and-solids balls, but was that before or after the introduction of reds and yellows? Red and yellow balls were first used in the early 1900s in the USA when playing the game of 8ball. However stripes and solids are now preferred in most of the world for 8ball. 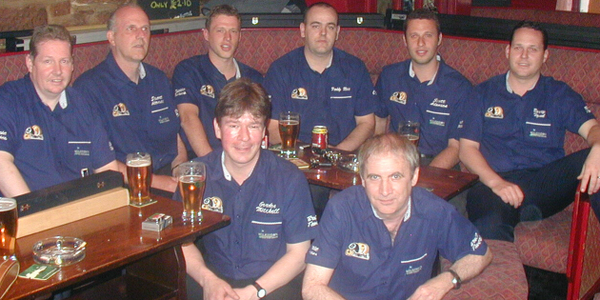 The exception being blackball, the game sanctioned by the World Pool Association early in 2005. In fact in the UK, red and yellow balls were already being introduced a few years prior to that date. Previously 'spots and stripes' (as they were commonly called then) were used throughout Britain for the small table game. Red and yellow balls were for a time adopted for early televised Casino Pool Tournaments in the United States. Hence reds and yellows are sometimes referred to as casino balls. 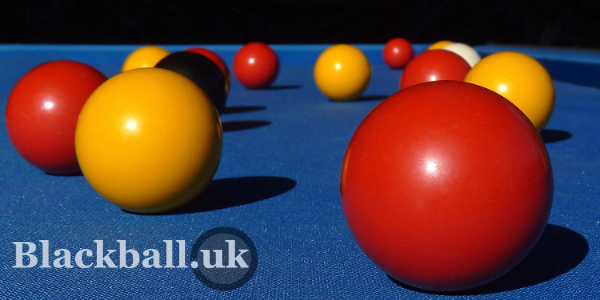 It has been said that red/yellow object balls were introduced at some United Kingdom pool venues in the late 1980s. This assertion requires corroboration. It is clear that the nomination, or selection in shots, of individually numbered object balls is not necessary when playing the UK versions of 8ball pool, so numbered balls could be dispensed with in favour of two sets of coloured balls. It's also helpful that the colours red and yellow contrast well and it is a colour combination unlikely to be affected by colour vision deficiencies. Having said that blue object balls are sometimes found replacing the yellows... and blue-yellow colour blindness is known to occur. Incidentally, the most common type of hereditary colour blindness is red-green. It is also benefits the publican or pool hall owner that it's easier to replace a red or yellow ball, rather than specifically a numbered ball, should any object balls go missing.